The Islands Ultimate Guide No. 1: Best of the Caribbean! 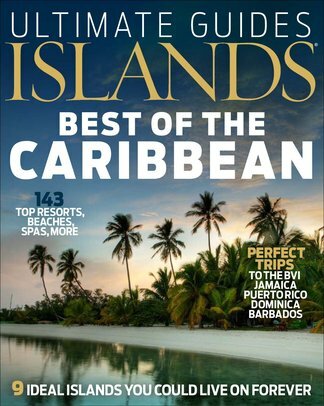 We've collected nearly 150 pages from ISLANDS magazine to showcase everything you love about the Caribbean: the resorts, scenery, beaches, restaurants, plus the Caribbean islands worth living on and more. A fraction of the price of a regular travel guide, double the photos! Be the first person to tell us what you think about Islands Ultimate Caribbean Guide and you'll save $5 on your next purchase!